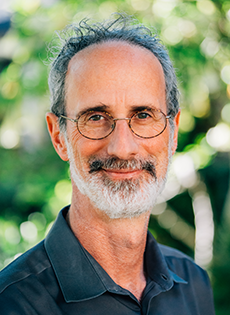 Dr. Peter Gleick is a world-renowned expert, innovator, and communicator on water and climate issues. In 1987 he co-founded the Pacific Institute, which he led as president until mid-2016, when he became president emeritus. Peter developed one of the first analyses of climate change impacts on water resources, the earliest comprehensive work on water and conflict, and defined basic human need and right to water – work that has been used by the United Nations and in human rights court cases. Also, he pioneered and advanced the concepts of the “soft path for water” and “peak water”. Peter received the prestigious MacArthur “Genius” Fellowship and was elected to the U.S. National Academy of Sciences. He serves on the boards of numerous journals and organizations, and is the author or co-author of many scientific papers and 11 books. Dr. Gleick holds a B.S. from Yale University and an M.S. and Ph.D. from the University of California, Berkeley.